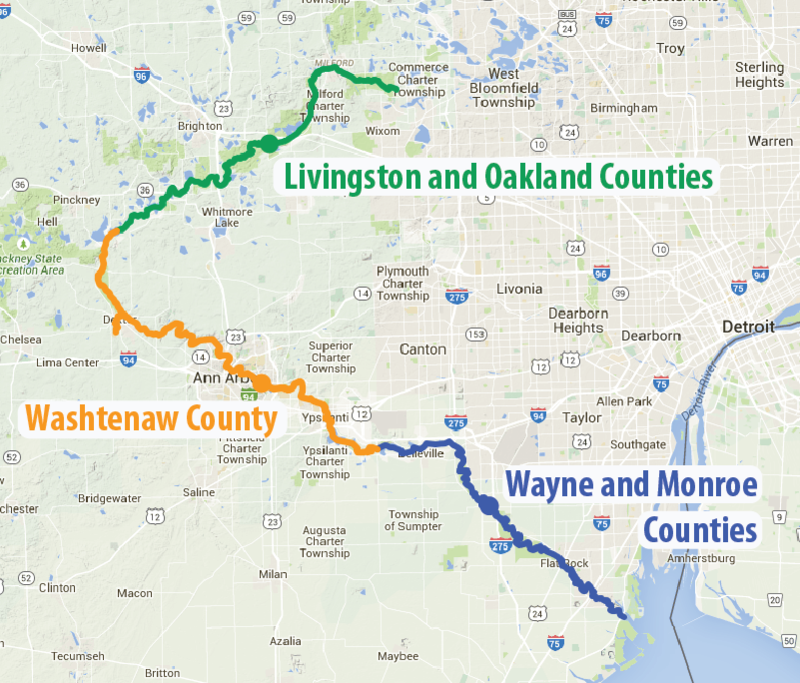 The Huron River Water Trail is 104 miles long and typically take about 5 days to paddle the entire distance. For those who are not quite ready for that length trip we have highlighted a number of outstanding trips from start of the water trail in Proud Lake to the mouth of the River at Lake Erie. To help you find a trip near you we have divided the water trail into three segments, each about 35 miles long.